FERDINAND TM & © 2017 Twentieth Century Fox Film Corporation. All rights reserved. follow Ferdinand as you charge into the city for an adventure in the New York City! we’ll take you behind-the-scenes of Blue Sky Studios where you’ll meet the team that brought Ferdinand, Nina and friends to life for his brand new big-screen adventure. attend VIP tour of this world famous animation studio, before enjoying an exclusive ‘how to draw’ workshop with one of the lead Blue Sky character designers. leave with a special memento that will ensure you remember this magical trip for a lifetime. two nights in luxury accommodation in the heart of The Big Apple completes this incredible prize for one lucky family, courtesy of Ferdinand! 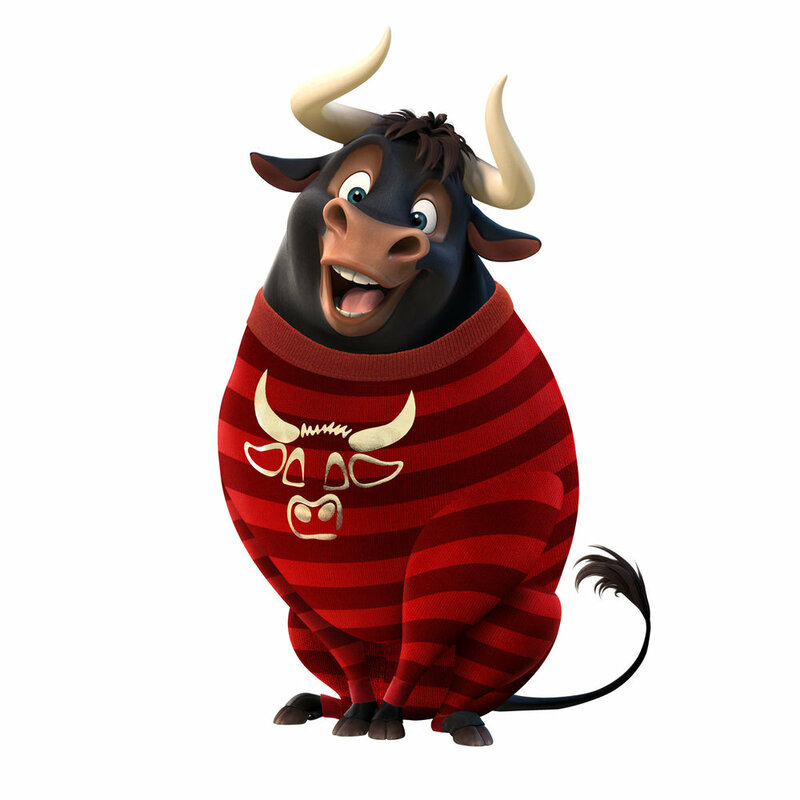 VIP Tour of Blue Sky Studios: go behind-the-scenes of the state-of-the art studios that brought Ferdinand to life. At least 1 person travelling must be over the age of 21; accommodation is based on a family of four sharing a room; a valid credit or debit card will be required to guarantee your room on check in; stay must include a Saturday night in the hotel; the prize excludes domestic ground transfers, meals and drinks, excursions, attractions, treatments, visas, personal expenses and anything not expressly stated in the prize package; all elements of the prize are subject to availability; if unavailable, experiences and items of a similar nature and value may be offered; hotel will be selected by prize provider at their sole discretion; once booked, the prize cannot be amended or cancelled; prize is non-refundable and non-transferable; no cash alternative is available; all US travellers flying domestically will require a valid photo ID approved for air travel; any necessary visas or insurance are the responsibility of the winner and guests; Blue Sky Studio Tour will take place on a set date in 2017 specified by promoter; Set date will be confirmed at least 60 days prior to departure; It is the winner’s responsibility to ensure that they are able to travel over set date; if the winner is unable to, or elects not to, use part of the prize, the winner will forfeit that part of the prize package. Winner management my Element. Prize package cost: $4,995. facebook giveway begins on 12/6/2017 6am PT, Ends 12/13/17, 11:59pm PT. We’re the Benton’s and we currently live in southern Indiana. We recently moved here from Chicago to be near our family while our kids are young! John is a director at a nonprofit helping low-income families and I stay home with our little ones who are and a year and a half-year-old and 3 months! As a young family, we are trying to start our own traditions while incorporating some of each of our from our childhoods. Something I brought from my childhood was decorating the Christmas tree as a family after Thanksgiving. A new one we are starting is making homemade ornaments! It’s so much fun to look back at what we made the year before. The holidays have always been my favorite time of the year. It’s always a special time of being with family and being thankful for all that we have. Some of my fondest memories are being with my whole family sitting around the living room sharing what we are thankful for and reading the Christmas story. Elf is a classic and always a must watch this time of year!